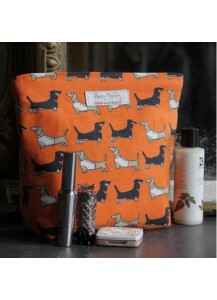 Darling Dachshund Posh Shopper by Poppy Treffry. 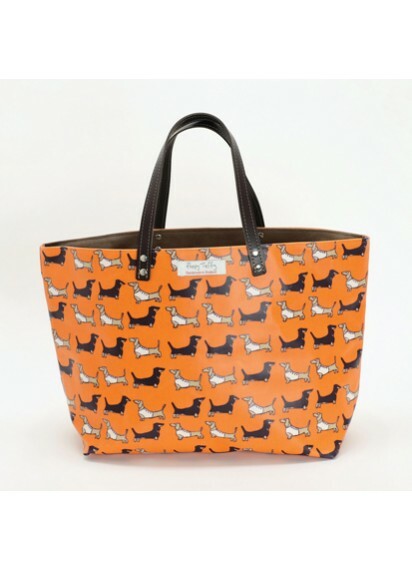 The Darling Dachshund design with its orange background is a real head-turner and will always have you standing out from the crowd. 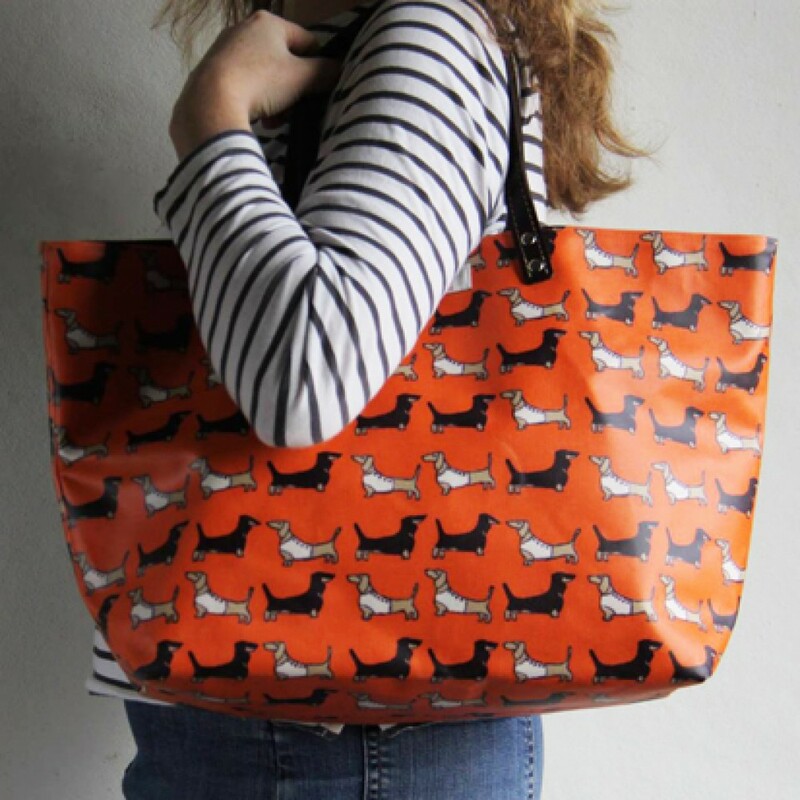 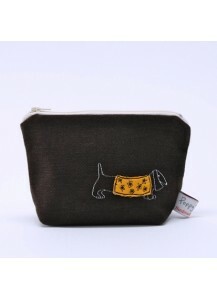 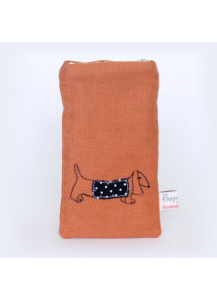 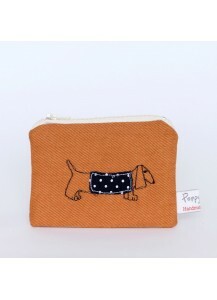 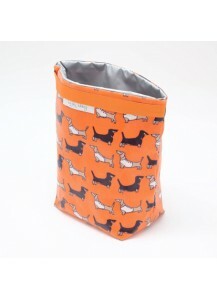 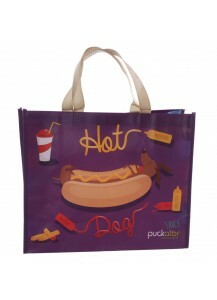 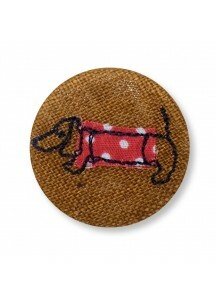 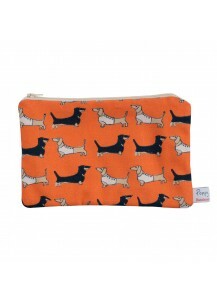 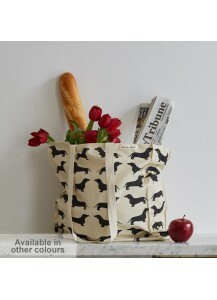 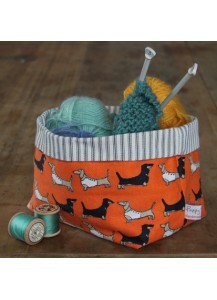 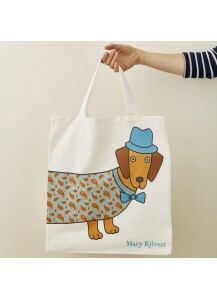 If you're a lover of sausage dogs, or just dogs in general - this is the bag for you! 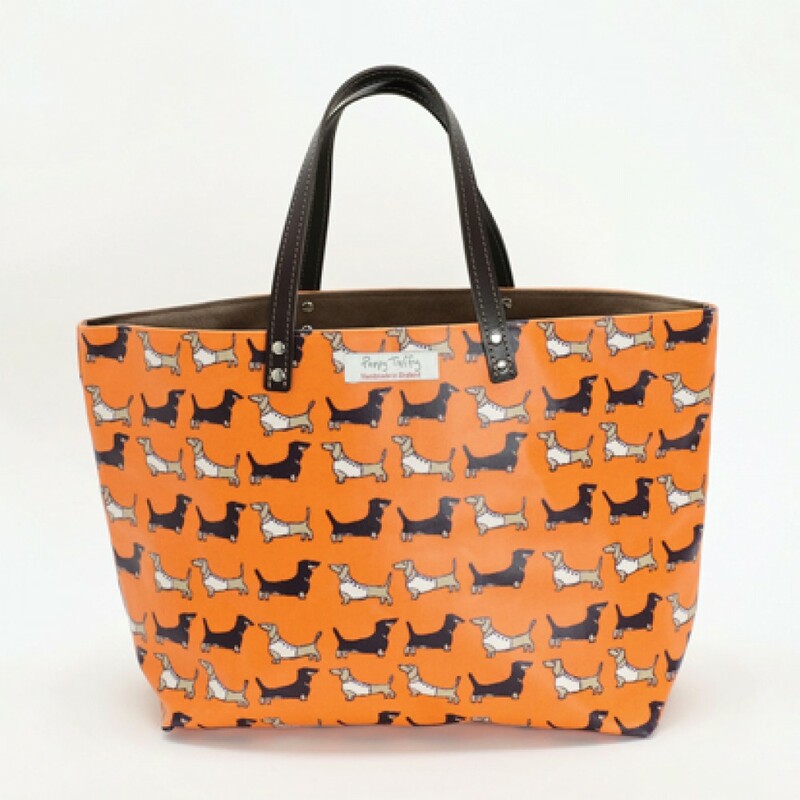 Ideal for a day out shopping but also great for parents who need to carry lots of baby changing gear or toddler essentials. 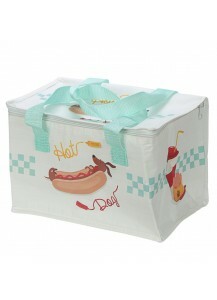 With its strong leather handles and oilcloth outer this bag is good for the beach, swimming pool or as a weekend bag. 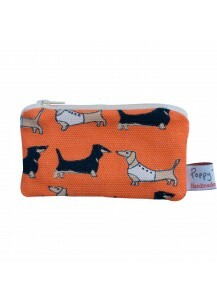 Featuring a handy key fob to keep your keys in one place and an internal phone pocket. 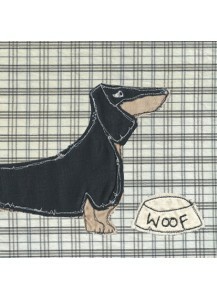 Hand stitched in Cornwall, UK using original embroidered designs by Poppy. 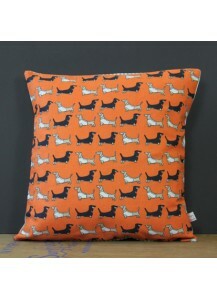 Woven and screen printed in Cumbria, UK.